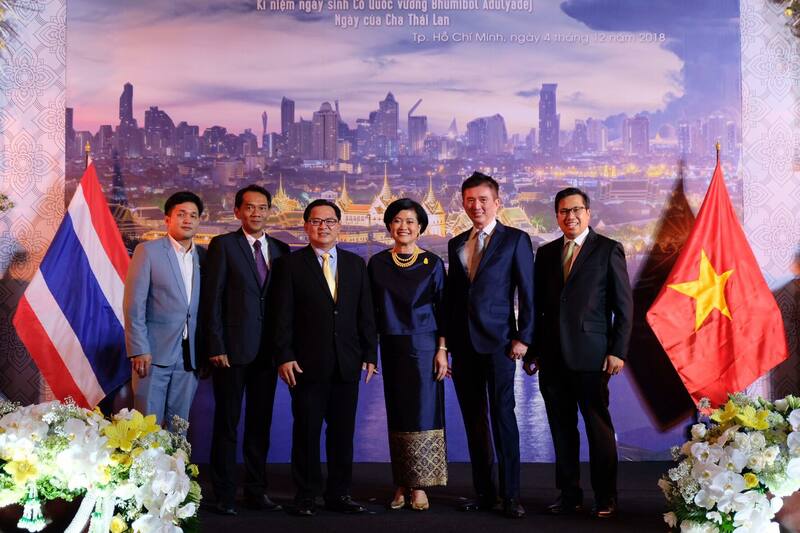 Thai Consul General to Ho Chi Minh City Ureerat Ratanaprukse announced her term will end in three weeks and bid goodbye to the local community, as she chaired a ceremony to observe the National Day of the Kingdom of Thailand (December 5) on Tuesday. The event in Ho Chi Minh City was also held in celebration of the Birthday Anniversary of His Majesty the Late King Bhumibol Adulyadej and Thailand’s Father Day, the Royal Thai Consulate-General said in a statement. Ho Chi Minh City deputy chairman Huynh Cach Mang, consul-generals, Vietnamese government leaders and provinces’ representatives were among more than 300 guests at the ceremony. Speaking at the event, Consul General Ratanaprukse highlighted the milestones of bilateral cooperation between Vietnam and Thailand since she started her term in 2015. During the past three years, the two countries witnessed frequent high-level visits, as well as increasing volume of two-way trade and investment, according to the consul general. Ratanaprukse’s speech turned emotional midway when she announced that her term will come to an end by the end of this month. “[Despite that], I will keep watching the development of Vietnam – Thailand relations,” she said, before underlining that Vietnam is "my second home". Upon her ending of diplomatic post in Ho Chi Minh City, Ratanaprukse also thanked the continued support from the Vietnamese local government and reaffirmed her commitment to work with relevant Vietnamese authorities while advancing partnership for sustainability with Vietnam and ASEAN under Thailand’s Chairmanship of ASEAN in 2019.